I read two articles this week that included the topic of marriage. The first was titled, “More millennials think it’s a priority to buy a home than to get married or have kids.” The second one was about the passing of Shirley Boone, the wife of entertainer, Pat Boone. The two had been married for 65 years. These stories bring to mind more than the obvious conclusion that views of marriage have changed since the 1950s. No doubt there are fewer couples, even among those who profess faith in Christ, who believe in waiting until marriage before living together. That’s a real problem the church needs to do more to address. But that’s not the point I want to make in this article. I’m equally concerned about the growing belief that marriage should be postponed until certain milestones of life have been accomplished. I first heard this idea shared at a conference session led by Florida pastor, Jimmy Scroggins. He suggested that marriage should be a “cornerstone” of our lives rather than a “capstone.” What does that mean? As the leader of a creative team, many, if not most, of the ideas we develop come from members of the team, not from higher leadership. As part of the senior team, I have the unique position of seeing and representing both the creative perspective and the organizational perspective. I hope these thoughts will help creatives when presenting an idea “up” to leadership. As part of the process, you should consider the PURPOSE behind the idea, then PLAN to make your presentation, and finally, the best way to PITCH the idea. Leadership’s responsibility is to make sure resources are used to support the church’s overall mission; any idea they’ll consider needs to fall in line with that mission. So, it’s important to have an acute awareness of the big picture. It might be really cool to build a new app or install a display in the hallway, but be sure the idea advances the mission and vision or it won’t likely be given a green light. And if your church doesn’t have a defined mission or vision, perhaps you could be the one to initiate the process for developing one. When considering purpose, it’s also helpful to be aware of leadership’s goals, both short-term and long-term. In any given season, leaders are typically focused on a specific project or goal that supports the church’s mission. What is the leader focused on right now? Is this the best time to pitch your idea, or would there be a better time? Timing can be an important factor for leaders when considering proposals. Ideas that require significant resources are ideally presented at budget preparation time so leadership can factor it into the budget for the following year. As you develop ideas to share with leadership, you’ll want to consider some factors to help with receptivity. First, as much as possible, communicate regularly with leadership. Don’t isolate yourself. Talk to as many leaders as possible on a regular basis. Ask them to lunch. Ask them about their ministry goals. The more you collaborate with leadership, the more they will know and trust you when you have an idea to share. Second, work to break the stereotypes of creatives. One of those stereotypes is that creatives often have ideas that are unrealistic. Leaders want ideas that are outside the box but not “over the top.” Leaders want fresh ideas, but they still must be within the bounds of the church culture. Finally, with respect to planning, make sure the idea is achievable. If the idea was not specifically placed in the budget, where will the money come from? Is there room in your ministry budget, or will you be asking leadership to fund it from another line item? Will other ministries in the church be on board with the idea, or will you be alone in its support? Have you gotten feedback from other ministries to determine if they will also support the idea? Once you’ve considered the purpose of the idea and planned how it will be best received, it’s time to pitch the idea. Before you actually meet with leadership, you’ll want to anticipate their questions and be ready with answers. Also, depending on the size and the culture of your organization, you may only have a limited amount of time in the pitch meeting. Building anticipation may be part of your pitch strategy, but only take that as far as you believe the leader will tolerate it. Most leaders have limited time and will want you to get to the point quickly. You’ll want to avoid using industry jargon. If you know your leader is well-informed in your area of specialty (back to the earlier point of spending time with them on a regular basis), then go ahead. But most leaders will be limited in their understanding of your world. So be sensitive by only using language they’ll understand. Finally, provide more than one option. This is important for a couple of reasons. First, if the leader doesn’t like the idea, you need to have a backup. Often your second or third favorite idea will be the leader’s first choice. This is particularly true for projects which involve design. Second, by providing more than one option, you’ll demonstrate your versatility and flexibility, which most leaders appreciate. Leaders expect creative ideas from creative people. Keep them coming! But as you do, consider these points to make your idea and its presentation as effective as possible. For church leaders, every time we turn around there’s a new book, blog post, conference, or podcast on church health. There are so many resources for leaders to build healthy churches, yet it seems so few churches are truly healthy. Whether it’s leadership struggles, budget shortages, or declining membership, many churches have a hard time achieving health. Sure, health is measured in many ways. What constitutes health for one church may not be a factor for another. And it’s even possible for a church to exhibit health in metrics like growth and giving yet behind the scenes the staff culture is anything but healthy. I’d like to present five factors that I’ve seen contribute to the health of the church I serve. These are not meant to be inclusive of all health factors, but they cover a lot of ground toward overall health. As a devotional, this post is outside of the prescribed categories of my blog. But since I shared this message in our staff chapel at Brentwood Baptist a couple of weeks ago, I thought I’d let it pull double-duty. I hope it’s an encouragement to those who read it. 6 Don’t worry about anything, but in everything, through prayer and petition with thanksgiving, let your requests be made known to God. 7 And the peace of God, which surpasses every thought, will guard your hearts and minds in Christ Jesus. 8 Finally brothers, whatever is true, whatever is honorable, whatever is just, whatever is pure, whatever is lovely, whatever is commendable—if there is any moral excellence and if there is any praise—dwell on these things. 9 Do what you have learned and receive and heard and seen in me, and the God of peace will be with you. I would characterize myself as a recovering worry-wart. As a “high C” personality, I can easily find myself over-analyzing all facets of a particular situation. I walk through every possible scenario in my head, every possible outcome, and I can tend toward a pessimistic view of those possible outcomes. Just ask my wife. I’m very analytical. And you may agree with me that when healthy analysis becomes “analysis paralysis,” it can look an awful lot like. . .worry. How should a leader exert power? In the church, as in any organization, leaders exert power to achieve objectives. Power struggles seem to be one of the most common causes of dissension in the church. Such dissension almost always leads to ill-health and sometimes to decline. The way in which a leader uses his available power is one of the keys to organizational health. There are two types of power available to the leaders of any organization: personal power and institutional power. Many church leaders have not learned the cost of depending on personal power nor the benefits of leaning on institutional power. There’s been a lot written about the “3 Cs” of effective hiring – character, competence, and chemistry. While these may be a good check-list, among other best practices for hiring, I believe one of these three can be misconstrued if we’re not keenly aware of the influences that affect its misinterpretation. The digital age has brought many benefits to interpersonal communication. But I think most of us would agree that much has been lost as well. There’s some general consensus that social media has changed our relationships with others, and not necessarily for the better. One of the casualties of digital communication is the traditional thank-you note. It’s largely become a relic of past sincerity and etiquette. But should it? Unlike other forms of communication that have gone reasonably by the wayside, I think the traditional thank-you note is one that needs a revival. This is particularly true in church life where you need to be sure to acknowledge the generosity of your volunteers and leaders who serve and give faithfully on a consistent basis. I’ll argue that a hand-written note, sent by snail mail, is far superior to saying thank you in an email. First, not many people send hand-written notes these days. When one is received, it demonstrates a level of thoughtfulness and intentionality that’s not conveyed in an email. Second, it’s more personal. When you’ve handwritten a note, the recipient knows you didn’t just cut and paste copy from a thank-you template you’ve saved in a file. Third, it’s special. Since not many people receive hand-written notes these days, yours will likely be appreciated and remembered more than all of the digital communication they received that week combined. You may not have thought much about legal protection for your church logo or other “brands” you’ve developed as part of your church’s ministry initiatives. But understanding the implications of copyright and trademark protection so that you can make an informed decision is an important part of church communication management. Given a few of our church’s more externally-focused initiatives, we’ve taken the extra step of registering some of our trademarks with the US Patent and Trademark Office (USPTO). A quick disclaimer: the information in this post is certainly not meant to be taken as legal advice but rather to share what I’ve learned through this process. Please consult an attorney for thorough legal counsel on this subject. First, it’s important to understand the difference between the terms “copyright” and “trademark.” Copyright refers to works of authorship, such as literary, dramatic, and musical works, as well as artistic works such as poetry, novels, songs, computer software, and architecture. In order to be copyrighted, these works have to be “tangibly expressed,” or “published.” A trademark, on the other hand, is a brand name. It may be expressed in a word, phrase, symbol, and/or design that identifies and distinguishes it from another source that may provide similar goods or services. My experience using image magnification (IMAG) in worship began way back in 1994. I started serving that year at one of the largest churches in America, First Baptist Church of Orlando. Two years earlier, the church had purchased a new in-house television system, complete with a rear screen video projector, in its 5,000-seat worship center. The brightest video projector available at the time, a GE “Talaria” was installed. As I recall, it produced a whopping 2,500 lumens, less than a quarter of the brightness that size room calls for today; and a skilled technician was required to “tweak it” about once a month for it to maintain a decent image. But, despite the primitive nature of the new technology, I was fortunate to have been one of the early adopters of the use of IMAG in worship. There wasn’t a lot of precedent at that time, so we were breaking new ground. With today’s much brighter and much cheaper video projectors, IMAG has become common in many, if not most, houses of worship. Of course, a minority of churches use projection for the live “re-imaging” of the worship leaders and the preacher with a video camera, the practice for which “image magnification” got its name. But the projection of song lyrics, Scripture, photos, videos, and other supporting graphics is now a staple in the realm of worship technology. Whether your church is using video projection from a single source for graphics and video, or from multiple sources, including live camera re-imaging, here are a few tips I’ve learned over the years about effective use of IMAG in worship. Like any organization, the church must be effective at communicating its message. The most important message, of course, is the message of the gospel. Ultimately, everything that’s formally communicated by the church should point to Christ. The gospel is the common message of every single Bible-believing church. But it’s naïve not to acknowledge that every active and healthy church has ministry programs, initiatives, activities, service projects, and events that support the goal of reaching people for Christ and helping them grow toward Christ-likeness. Our church offers more opportunities than any one member could ever participate in. Communicating all of these opportunities in a consistent and effective way can be overwhelming. Effectively connecting the right message to the right people at the right time is the ultimate goal of communication. In an extremely active church culture, this can only be done with a good communication strategy. 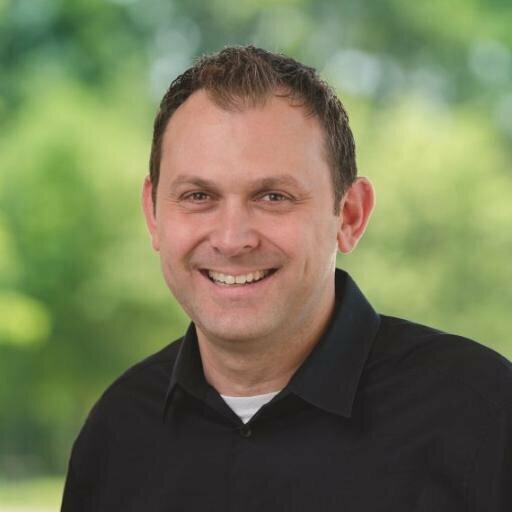 I’m Steve Smith, the Communications Minister at Brentwood Baptist Church. I lead a team of specialists in church communications, including worship/event media, marketing, creative design, web strategy, social media, and technology. Does your church have trouble keeping a consistent voice and look for you communication? One way to remedy to that can be to develop a style guide. 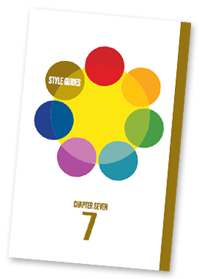 Sign up below to download a sample style guide to get you started. © 2019 Copyright Steve Smith Online. 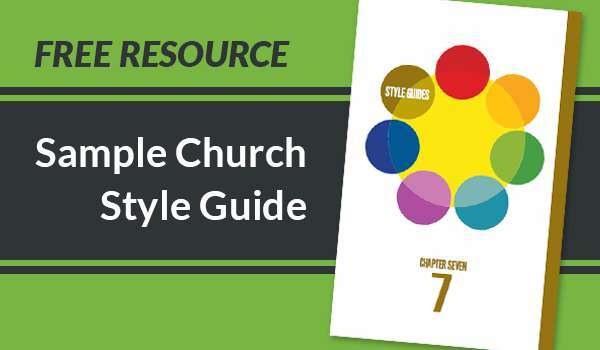 Subscribe to get a free sample church style guide! Does your church have trouble keeping a consistent voice and look for your communication? One way to remedy that can be to develop a style guide. Sign up below to download a sample style guide to get you started.